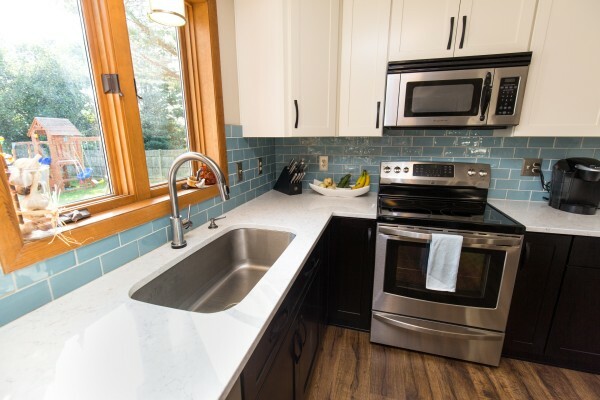 Every situation is different, and there are limitless options to choose from when deciding on your new kitchen remodeling job. 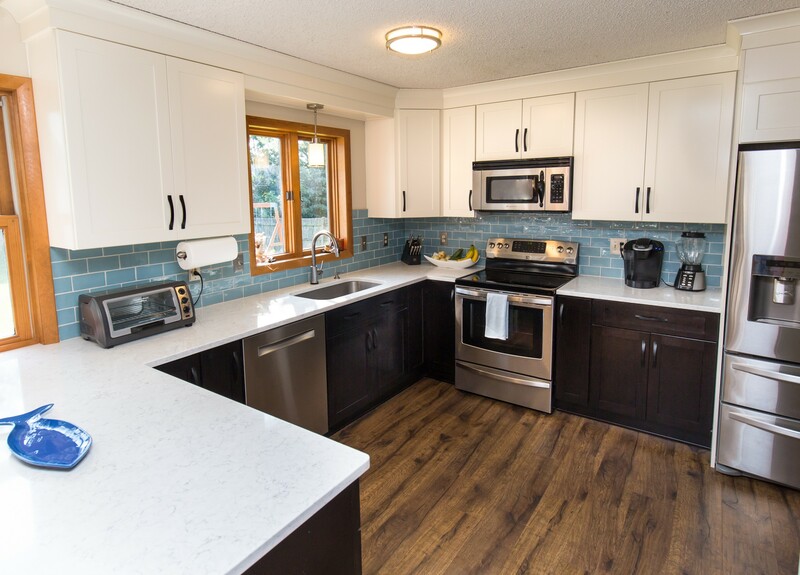 For a complete understanding of what goes into this process, we encourage you to visit our main page for Kitchen Remodeling. So rather than listing all the intricate details here, we are just going to show you some beautiful pictures with a brief explanation of the work done for this new kitchen we did in East Greenbush. 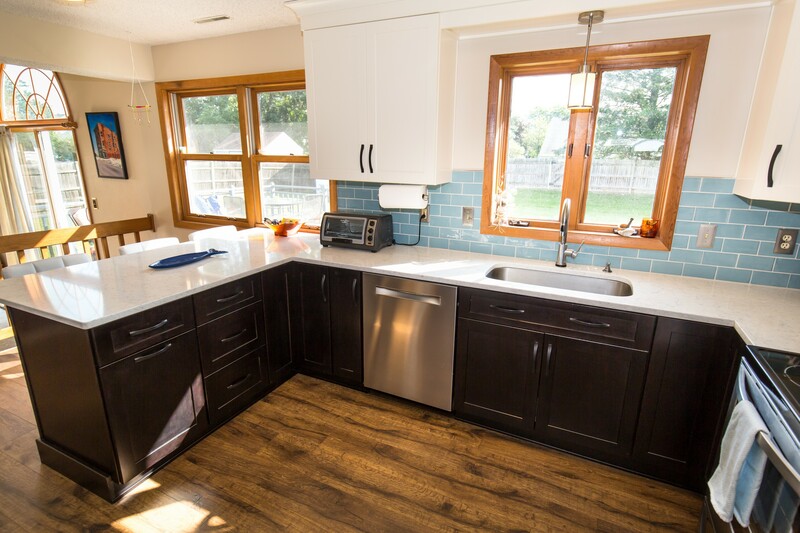 We now will walk you through this new traditional kitchen remodeling job. In the above picture is a complete picture of the Kitchen Remodel but we have many things to highlight. 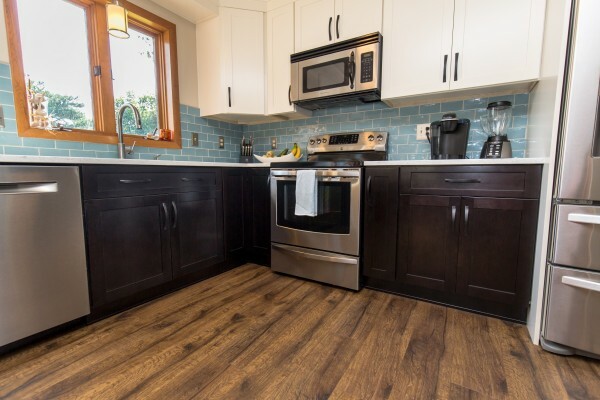 Below we focus on the Hand Scraped Engineered Flooring as well as the Fabuwood Kitchen Cabinetry. Now we focus on the Color Quartz Counter Top and the backsplash consisting of Baby Blue Subway Tile on a brick pattern. 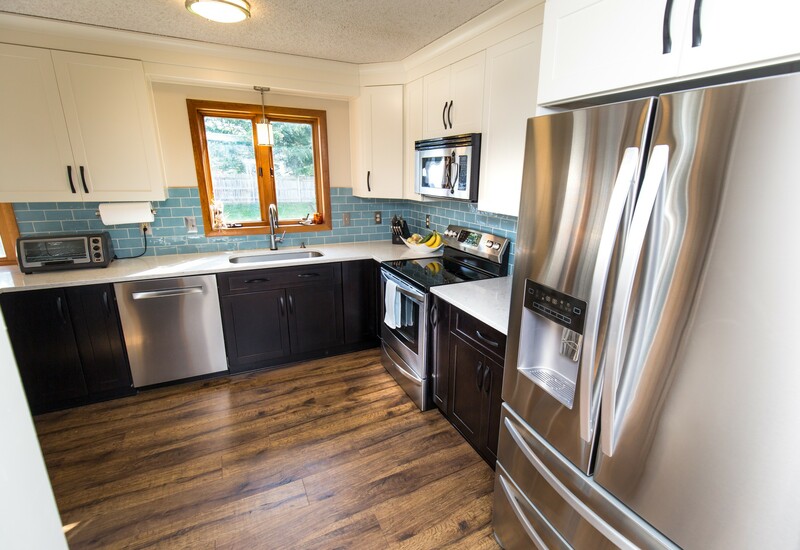 New Stainless Steel Appliances were added as the finishing touches. We then put a wall to create an office next to the kitchen. And then we installed new flooring, trim and painted the room. The first picture shows the wall and then we include a full office picture to visualize the room. 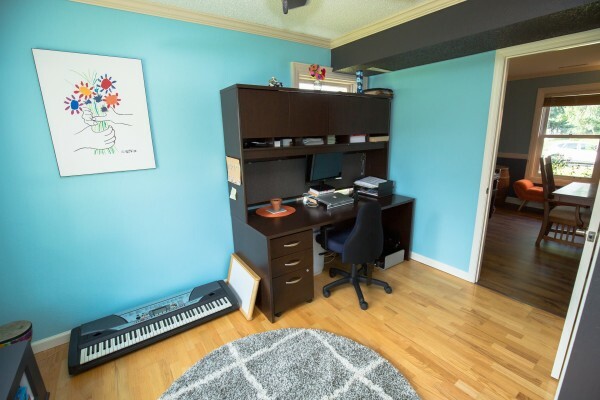 The office is really not the attraction of this page since we were more looking forward to the Kitchen and adjoining formal dining room as we see below. But you can notice the office on the right-hand side as shown above to visualize going seamlessly from Kitchen to Dining Room to Office. 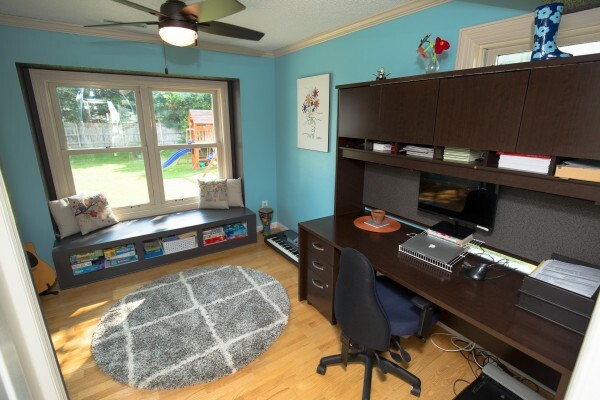 Razzano Homes pays attention to every little detail for of your remodeling job. 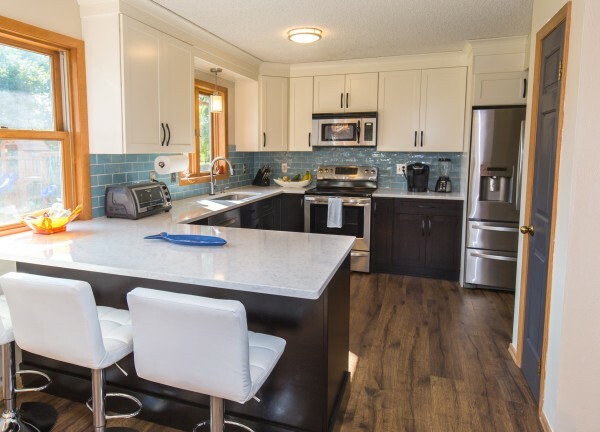 Starting from the kitchen including the flooring, cabinets, countertops and backsplash. 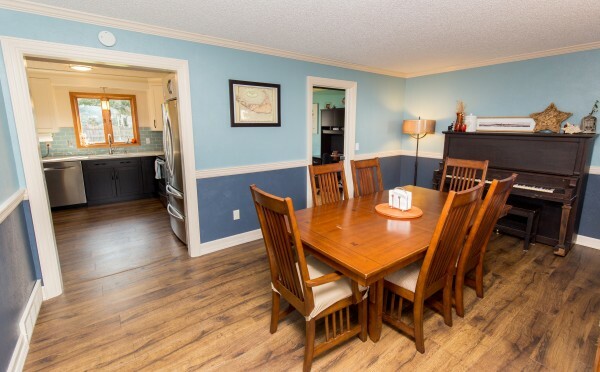 And in this example extending to a dining room and office space with the flooring, painting and trim. We invite you to contact Razzano Homes & Remodelers with any questions you may have about updating or transforming your kitchen, and we look forward to potentially working with you.